Poor Meryl didn't have a chance this year. She's probably considered by many as more of a filler nominee in a weak year, having replaced Madonna in the lead role of Music of the Heart. The season was dominated by eventual winner Hilary Swank and Annette Bening. Swank, for her role as a transgendered young man in the ultra low-budget Boys Don't Cry, earned numerous critics awards including the Golden Globe for Drama. While Bening won fewer critics awards for American Beauty, she received the SAG award and BAFTA (although in 2000 the BAFTAs were still held after the Oscars, so their predictive value was null). Swank is sort of like a better version of Anne Hathaway when accepting this award. The end of her speech is fantastic in my opinion but she just seems to come off as a bit too earnest and sanctimonious during the rest of it. Had Bening managed to take the award, American Beauty would have become only the fourth film in history to score wins in the top five categories (Picture, Director, Actor, Actress, Screenplay). The others of course being It Happened One Night (1934), One Flew Over the Cuckoo's Nest (1975) and The Silence of the Lambs (1991). Incidentally this year made it eight straight nominations for which Meryl walked away empty handed. Bring on the 21st century! Daniel Huttlestone was not mentioned as "confirmed" in the article, and we have no news whatsoever thus far on who might portray Little Red Riding Hood. New names to the above list from previous posts are Lucy Punch and Tammy Blanchard as Lucinda and Florinda (Cinderella's stepsisters), respectively. Guess that's a definite no on Megan Hilty, then. I had never heard of either of these actresses, but it looks as if both have worked extensively in TV and film. Blanchard appears to have more stage experience, having bagged a couple of Tony noms in the early 2000's (including one for the musical How to Succeed in Business Without Really Trying). Their roles aren't huge so I'm not too worried about it. The Broadway World article also lists Baranski as "Cinderella's Mother." I imagine this is just a typo, as all other sources I've read have consistently listed her as "Cinderella's Stepmother." Excited for this to finally get underway! 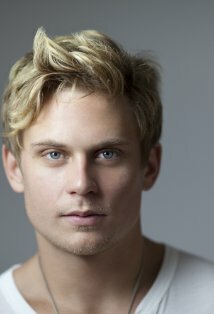 Magnussen set to replace Gyllenhaal in "Into the Woods"
According to Deadline, Tony-nominated actor Billy Magnussen is in negotiations to replace Jake Gyllenhaal as one of the princes in Disney's upcoming musical Into the Woods. Gyllenhaal dropped out last week due to scheduling conflicts. Magnussen is probably best known for his recent pants-dropping turn as "Spike" in the Broadway play Vanya and Sonia and Masha and Spike, for which he received his nomination as Best Featured Actor in a Play. I don't know much about his singing ability, but the couple of clips I've checked out on You Tube demonstrate that he has a clue. I can't imagine he's any worse than Gyllenhaal would've been vocally. Meryl headed to London soon to film "Into the Woods"
Gossip columnist Liz Smith's latest report indicates that Meryl is headed to London in three weeks to begin filming "Into the Woods." Smith evidently had lunch with Meryl's press agent Leslee Dart, who was happy to provide a portion of Streep's summer itinerary. This info, assuming it's accurate, falls completely in line with previous reports that shooting was to begin in August or September. I've seen some concern on the blogosphere about whether the film was going on as planned. There haven't been any casting updates for several weeks and a recent Hollywood Reporter interview in which the chairman of Walt Disney Studios Alan Horn failed to include Into the Woods in his list of upcoming films for 2014 was enough to get rumors buzzing. The word of mouth update from Meryl's press agent, however should hopefully be enough to squelch the doubts. Into the Woods is set for a Christmas Day release, 2014. I know it's kind of unsavory calling it a "race," considering it really shouldn't be about competition. Alas, with millions of dollars being flooded into promotional FYC campaigns, I don't feel too bad about perpetuating it. We're now halfway through 2013, which essentially means little when it comes to films that may vie for critical accolades. The great majority of contenders will of course be released third quarter. I thought it may be a good time, however, to assess where things stand. Meryl certainly continues to hold steady near the top of most pundits' predictions for her hotly anticipated role of Violet Weston in August: Osage County. I'll just list the site and which slot they're predicting our girl. Gold Derby: 1st overall among editors/experts/users at 21/10 odds to win. Anne Thompson at Thompson on Hollywood: listed only as a "contender." Awards Watch forums: 1st with 85% predicting her to be nominated. We are so early in the race so all of these predictions are basically shots in the dark, but Meryl is essentially the frontrunner, on average, among all sites and opinions.